Very Good. 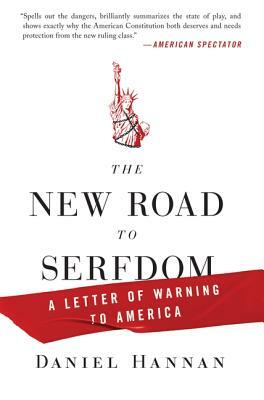 The New Road to Serfdom: A Letter of Warning to America by Hannan, Daniel, 2010-09-28. Glued binding. Paper over boards. With dust jacket. 200 p. Contains: Tables, black & white. New. 0061956937 Ships from Tennessee, usually the same or next day. New. 0061956937 Ships promptly from Texas. All pages and cover are intact. Spine and/or cover may show signs of wear. Some pages are creased. Some creasing is on the cover. ~ Goodwill Industries of Greater Grand Rapids, Inc. is a non-profit organization dedicated to changing lives and communities through the power of work. Very good. Cover and/or pages are damaged. Excellent book! This British MP says why the US shouldn't be moving towards socialism, as Obama and friends seem to want. He explains what life under European socialism is like, when government is basically run by bureaucracies headed by appointees--it means that elected officials can't have much effect on what the bureaucracies are doing. He also gives info about the European Union that I wasn't aware of: that the people of the countries that joined weren't allowed to vote on whether or not they wanted to join and that the 27 people that run it weren't elected--apparently they appointed themselves.